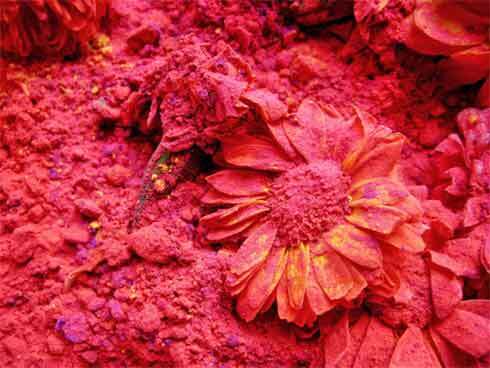 Holika Dahan Puja is held the night before Dhuleti Holi or play with colors. Below is a brief narrative on how to do Holika Dahan Puja in Hindi. In 2019, Holika Dahan ritual is on March 20 night. The ritual and puja is observed on the Purnima or full day (फाल्गुन पूर्णिमा) in the Phalgun month and is the first day of the Holi festival when bonfires are lit in memory of young Prahlad’s victory over demon Holika.